Event planner J.J. Tanner has her hands full with an extravagant birthday party and an arrogant chef. Murder is a late addition to the menu. 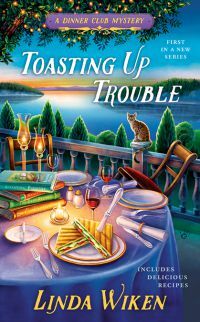 J.J. and her Culinary Capers Dinner Club pals must then put their creative skills to use, to turn the tables on the killer before she ends up on the burner.